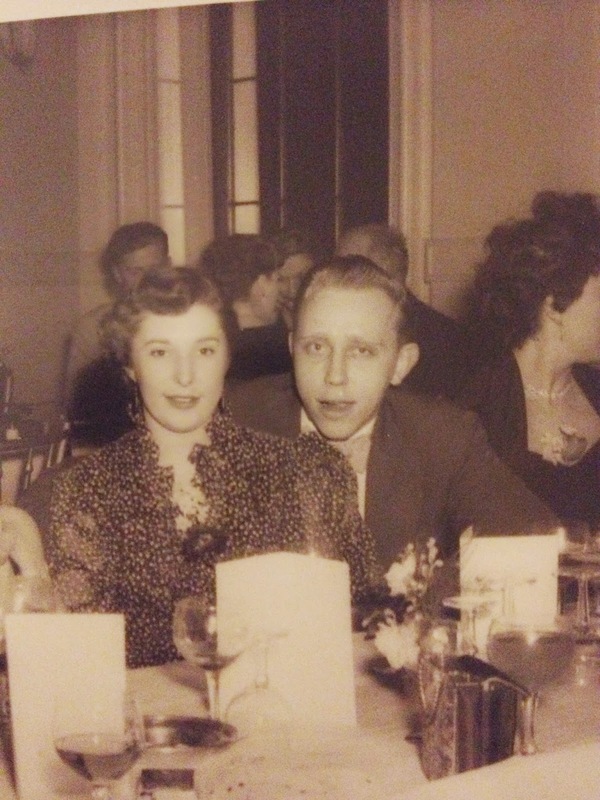 This post is in honor of my late grandmother, who passed away this past weekend. Nana lived an incredible life and taught her children and grandchildren so many important lessons about what our true priorities in life should be. I am very grateful I had the opportunity to interview her several years ago about her childhood in London during and after WWII. Here is my take on her story of meeting my grandfather. You don’t often think of your grandmother playing hard-to-get. I always assume the dating world was much more civilized back then. There was no playing games, no awkward moments, no scandal. I know how naive that sounds. As Solomon said in Ecclesiastes, “there is nothing new under the sun.” Surely human beings have been playing games, misreading cues, and causing scandal since Adam and Eve fell into sin! At the same time, though, when your proper English grandmother tells you she made your grandfather chase her a little bit, it comes as a juicy and shocking surprise. “Nana!” my sisters and I gushed with delight and mock horror when she relayed the beginnings of what was to become our family. He was a dashing young yeoman from Wisconsin, stationed in London post-World War II. She had been a little girl in London during the War, who had experienced the mandatory evacuation to Wales, the terror of a bomb dropped across the street from her flat, and the camaraderie the people of London shared during wartime. 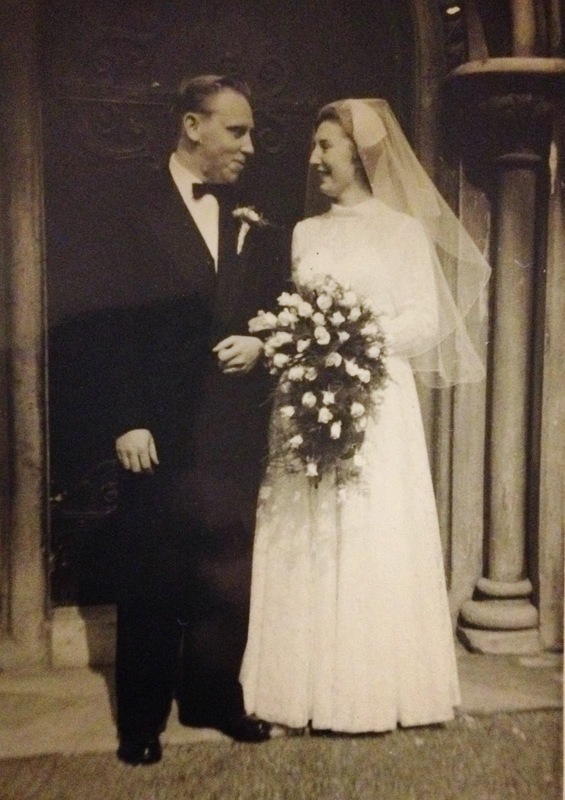 The setting of their first meeting was the day of her brother’s wedding at a drinking club. Her brother, Phil, had just left for his honeymoon with his new wife. It was only 3 o’clock in the afternoon, and my grandmother Maureen was all dressed up with nowhere to go. Ladies, I think we can all relate to the dread of wasting a new outfit and perfect makeup and hair. Someone has to see it! Fortunately, her friend Eileen was supposed to meet up with her then-boyfriend Jerry at a drinking club, and invited Maureen and some other friends along. It took some convincing, but Maureen’s strict father finally acquiesced and allowed her to go. The new dress would not be in vain! Once the group arrived at the club, they chose a half-circle booth, and settled in to order. Eileen recognized some Americans she knew, who proceeded to join their table. One gentleman, who (spoiler alert!) turned out to be my grandpa Herb, approached Maureen. Indignant, she replied, “Yes I do mind!” as she proceeded to slide in to allow the rude fellow to take a seat. “You can buy me a drink.” Bold, Herb. Bold. “I don’t buy anyone a drink,” Maureen said. It seemed they were not off to a good start. “Would you like to go out sometime?” he asked. “Because I don’t want to.” Hm. Why didn’t I ever think to try this blunt approach when getting hit on in bars? “I’m washing my hair Tuesday.” What? How did she get away with using “washing my hair” as an excuse to get out of a whole evening? And how can I apply this to my life? Apparently he wore her down, though, because she eventually agreed to a date. They decided to meet at the cinema one afternoon, and Maureen was almost positive he would stand her up. She told herself if he wasn’t there she would just hop right on the next bus and head home. But when she arrived at the Odeon Cinema, there stood Herb dressed in civilian clothes, and if historical fiction movies are telling me the truth, I’m sure he had a bouquet of flowers in his hands, and she was wearing red lipstick. Well, one date led to another, and soon the two were seeing each other several times a week. In our day we call this, “we’re not putting a label on anything.” This went on for 8 months. This casual dating didn’t inspire much confidence in Maureen, and she made plans to break it off. Maureen makes plans with Herb at a neutral location to end the relationship, because it was ‘going nowhere.’ They sit down to a spot of tea and probably crumpets, because it’s London, and Maureen clears her throat emphatically. “I don’t think this is going to work. I don’t think we should see each other anymore.” She proceeds to wait dramatically for the heartbreak that will inevitably ensue. Herb’s response: “Oh. Will you marry me? So that was that. Proof that men don’t listen to what women are saying, and that women can be wrong, contrary to popular belief. 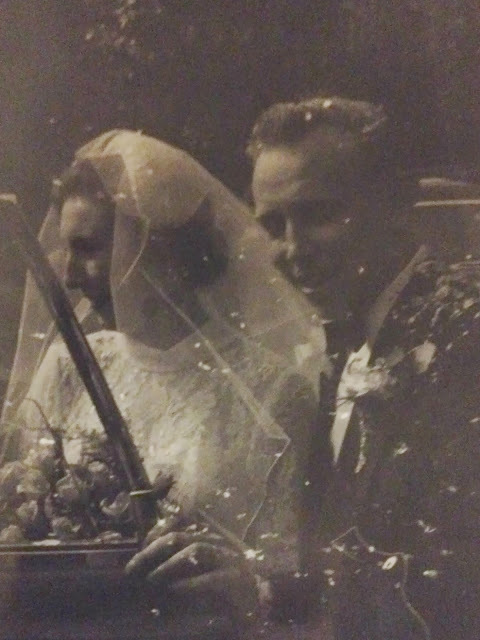 Four months later, in August of 1955, Herbert Otto and Maureen Barnfather were united in holy matrimony. I guess it’s lucky my grandpa Herb was so darn stubborn, and also a bad listener.